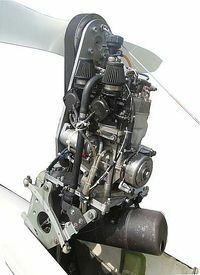 As the availability of all spare parts for the Rotax 535C can no longer be guaranteed, we offer to replace the Rotax 535C with the Solo-Engine 2625/2 for the Nimbus 3DM and the DG500M. On this engine the Propeller Binder BM1 will be used, which offers high efficiency together with low vibration and noise. This modification has already been carried out on 3 sailplanes and tested in Africa and Europe.